Compiled service records for both Confederate and Union soldiers labeled with each soldier's name, rank, and unit, with links to revealing documents about each soldier. 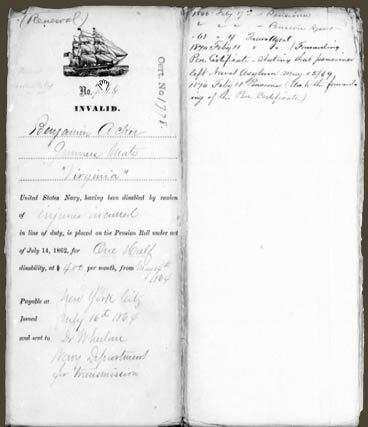 Collections include records for soldiers from over 50 territories and states. 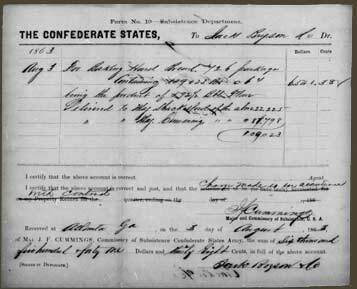 About: 1860 US Federal Census sheet. 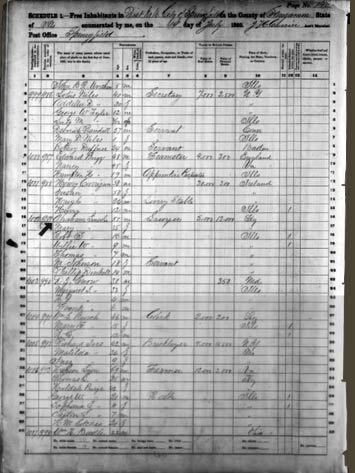 See if you can find Abraham Lincoln's family on this sample 1860 census sheet. Browse the 1860 US census by state, county, and civil division. This particular census is especially helpful in researching the Civil War era and the soldiers who fought in the imminent conflict. 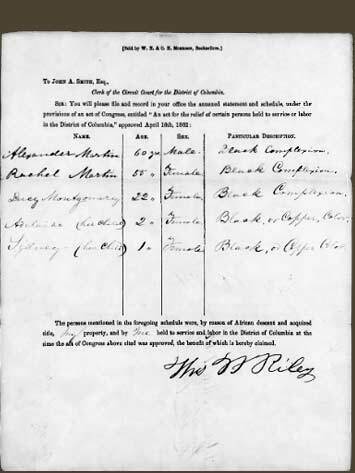 Information about each member of a household as of June 1, 1860 and includes the following items. 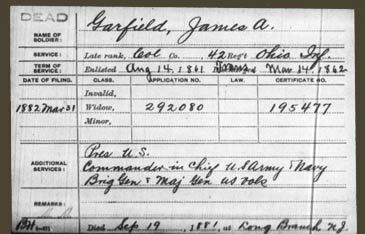 About: Index card for James Garfield, President of the United States. This publication contains index cards for pension applications of veterans who served in the U.S. Army between 1861 and 1917, including wars other than the Civil War. About: Franklin Thompson "humbly petitions that he may be restored to his rights as an American Citizen." These case files are organized by state, then by petitioner's last name. The majority is predictably from the south, although a few northern states are represented. 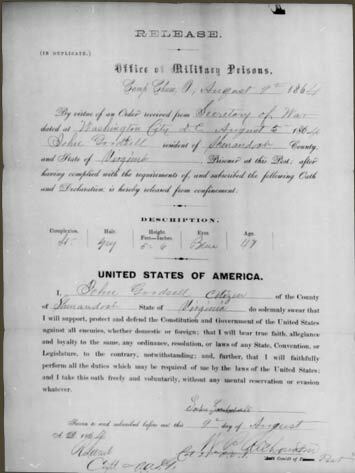 Applications for pardon were submitted to President Andrew Johnson by former Confederates excluded from the provisions of his amnesty proclamation of May 29, 1865. Most case files are 3-6 handwritten pages, although some are longer. Information to request an applicant's pension record. About: Jack Bryson compensated for baking 726 packages of hard bread. The papers reproduced in this publication were created or received by the Confederate War and Treasury departments. Most are alphabetized vouchers that came into the custody of the US War Department after the Civil War. After being assembled in 1891-92, they were used to facilitate post-war claims cases filed by Southern citizens. The vouchers show goods furnished or services rendered by private citizens and firms to the Confederate government, establishing the disloyalty of Southern claimants. 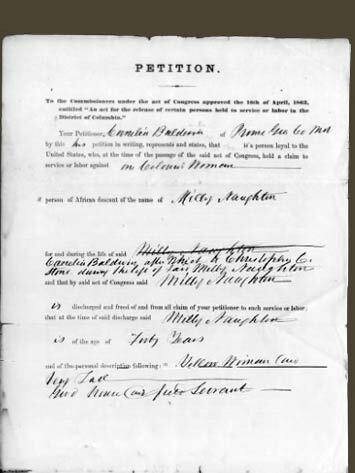 After the war ended, pension applications were submitted by widows and other dependents of Civil War veterans who served between 1861 and 1910. These records are for those pensions approved by the federal government. About: Claim for Adam Hiller to be reimbursed for items including "45 large pecan trees"
In 1871, the US government established the Southern Claims Commission to address southerners' petitions for compensation of supplies, livestock, and other items taken by the Union troops during the Civil War. More than 20,000 claims were filed. 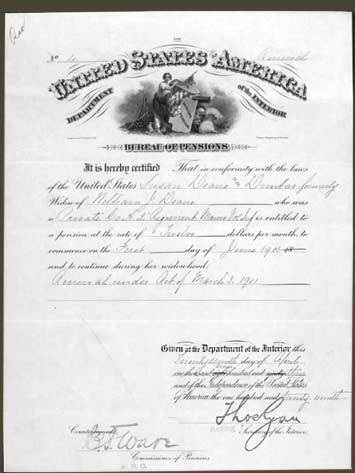 Also known as the "Civil War and Later Navy Survivors' Certificates," this series of images consists of approximately 26,000 approved pension application files of US Navy veterans who served between 1861 and 1910. Prior to approval, applications were termed "originals"; once approved, a new file number was issued and they were called "certificates." The term "NSCs" refers to Navy Survivors' Certificates. 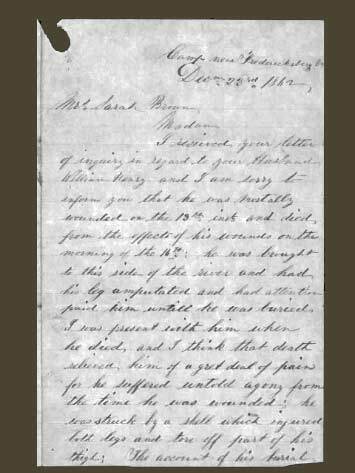 Within this publication, you can search approximately 20,000 approved pension applications of widows and other dependents of US Navy veterans who served between 1861 and 1910, originally filmed by NARA. Search for a name, ship, place, or keyword. Or, use the browse menus to locate a sailor by surname. Case files include where and when a man served, details of his service, his life before the war, and his family, including information about his widow, children, and sometimes his parents. Investigations of subversive activities in the Civil War. 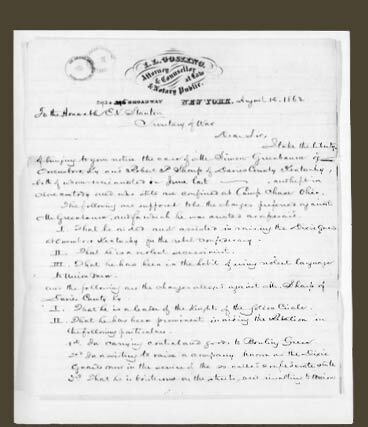 Case files were acquired during the war by Associate Judge Advocate Major Levi C. Turner and, after early 1862, by the War Department under Lafayette C. Baker. 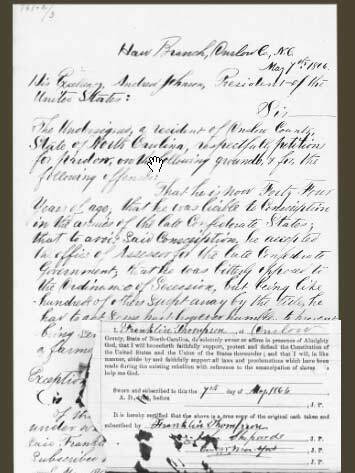 These records include minutes of meetings, docket books, and petitions filed under the acts of April 16 and July 12, 1862, pertaining to the emancipation of slaves in the District of Columbia. Slavery was abolished in the District of Columbia in April 1862. 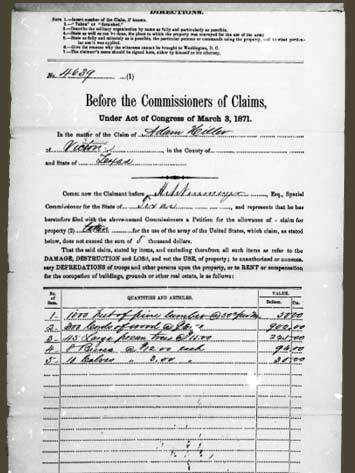 In order to receive compensation, loyal owners of freed slaves were required to file slave schedules.